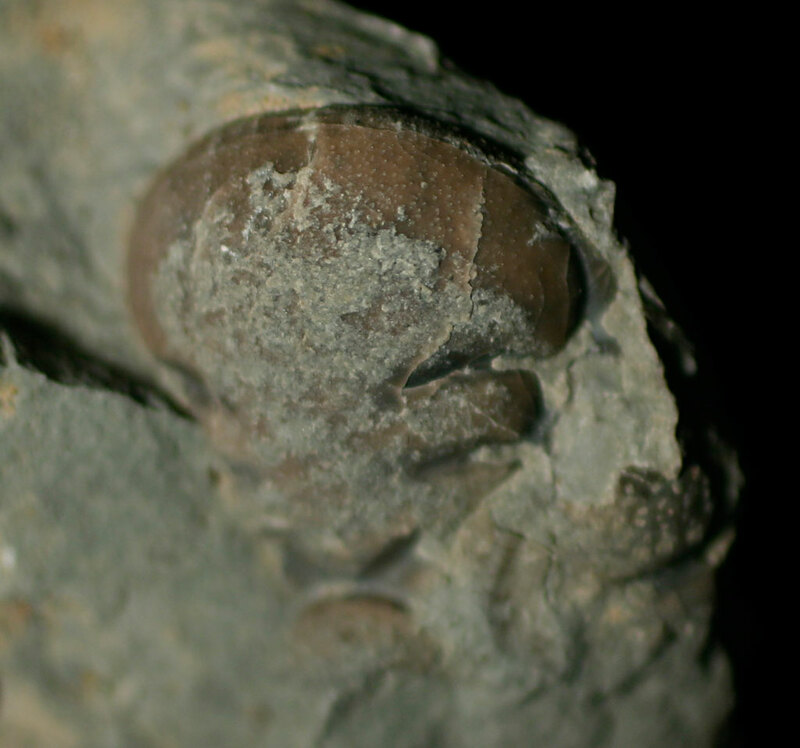 I believe this trilobite cephalon fragment is from a Cheirurus sp. 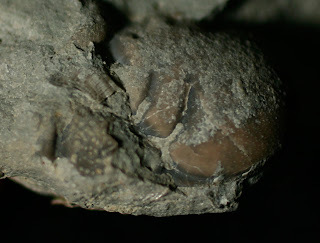 It was found in the Waldron Shale of Clark County, Indiana and is from the Silurian Period. 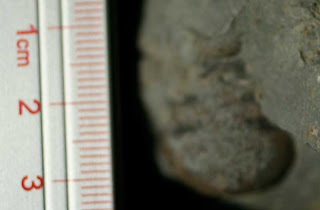 In March 2010, I documented another fragment that is less complete. See that posting here. 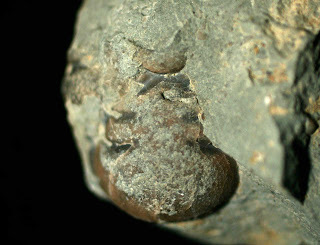 This new fossil seems to have one of the compound eyes. Unlike the other which was a cast, this one has fossilized shell. The fossil shown is over 2 cm in size and has not been cleaned yet. The other eye may still be embedded in the matrix.